If you are interested in participating in the program, please contact Joanne Sinopoli, Marketing Communications Manager or your PMC Account Manager at 585-249-1360 to allow us to help you evaluate this opportunity further. 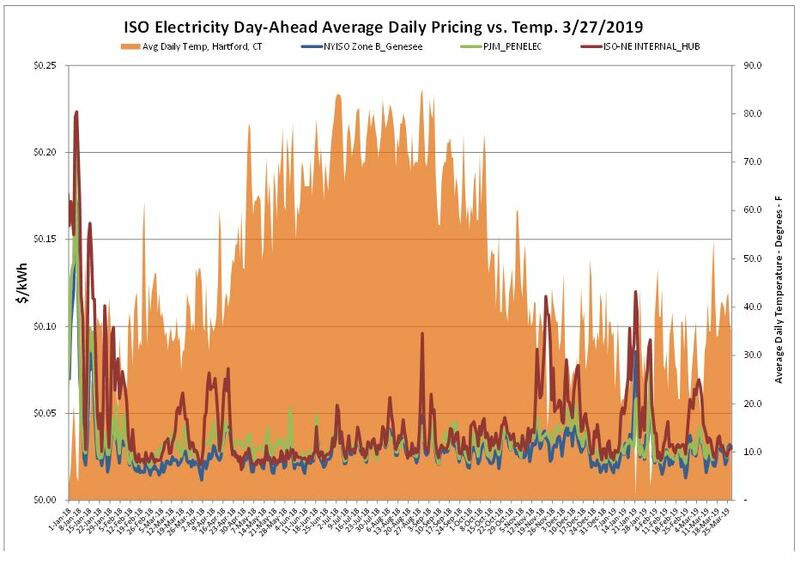 ISO-NE electric prices fell over the report week, reacting to a dip in natural gas prices and more seasonable weather. 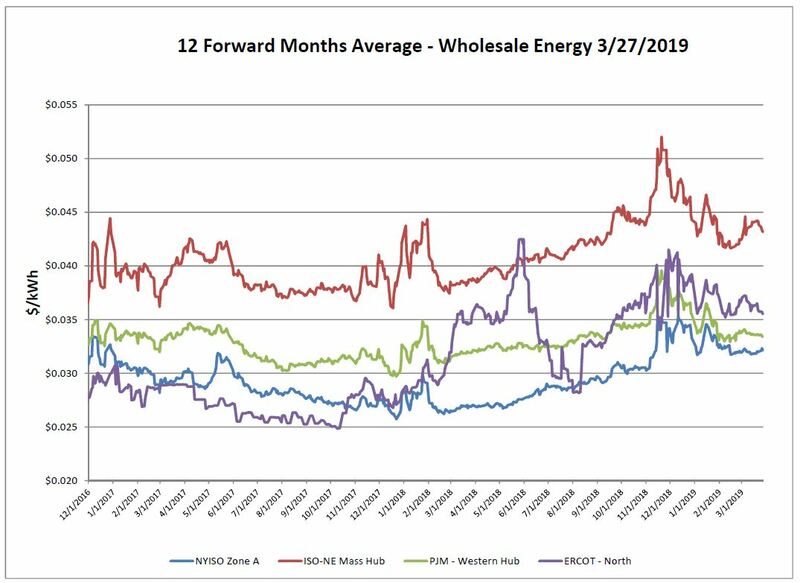 NYISO and PJM remained flat as we move into Spring. Quiet week on the day-ahead market. As loads start to moderate, this is what we would expect for this time of the year. 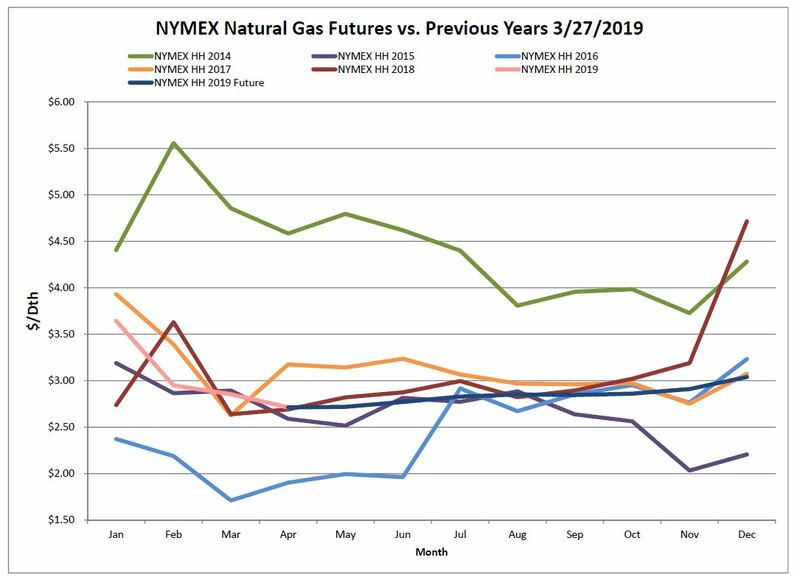 Natural gas prices dropped just before the close last Wednesday, settling the April ’19 NYMEX at $2.713. Natural gas futures remain very attractive. Likely a good time to revisit contract proposals prior to summer when volatility may start to appear again. 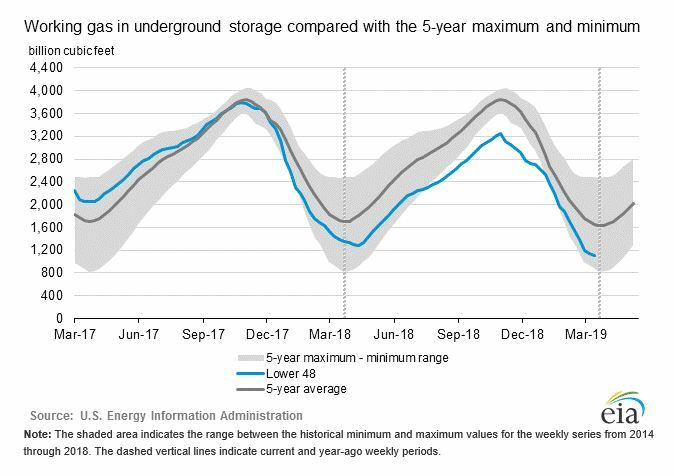 As of Friday, March 22, 2019 working gas in storage was 1,107 Bcf. According to EIA estimates this represents a net decrease of 36 Bcf from the previous week. The estimate for the end of season now stands at a 20% deficit to last year, and a 33% deficit to the five-year average. Next week we expect to see our first injection of the year. 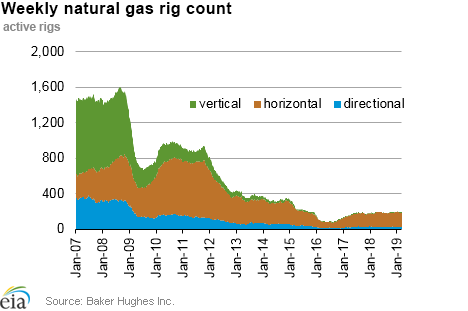 The Baker Hughes exploration gas rig count decreased by 2 rigs from last week for a total of 190 rigs. This is 4 more rigs than were in operation at this time one year ago when there were 194 rigs. 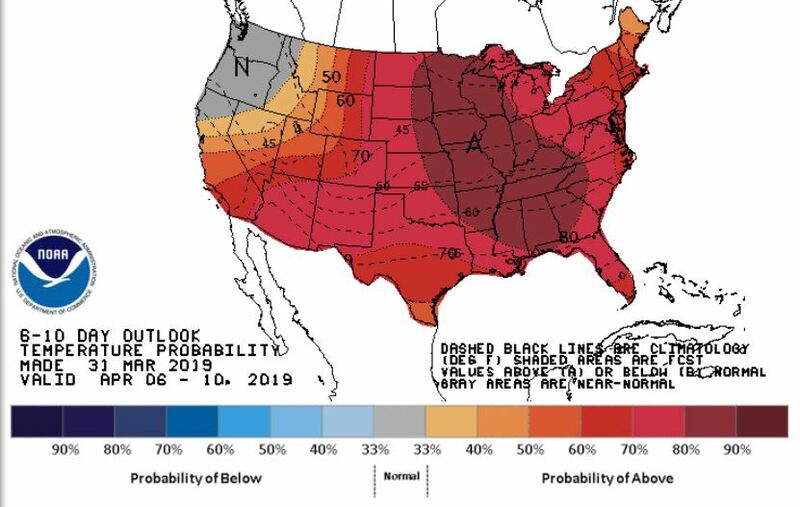 As we head into the first few weeks of April, the NOAA forecast expects a blanket of warmer than normal temperatures to cover the CONUS. Oregon and Washington may be the only exception to this vast warming pattern. The Strong, advised by Power Management Company, was recently awarded a new contract for low-cost power from the ReCharge NY program through the New York Power Authority! The recent polar vortex of extremely cold weather this winter tested Green New Deal policies, and they failed miserably.